Born in Paris in 1687, Paradis de Moncrif, author of Les Chats, was ten years older that Voltaire, who was a familiar correspondent. His career represents the archetypal “man of letters” of the earlier 18th century. Lacking any independent fortune – d'Alembert characterised his family as "poor but respectable" - he was wholly dependent on aristocratic good will. His most important patron was the comte d’Argenson who employed him as secretary and later secured him a valuable sinecure as inspecteur des postes, which brought in an annual income of 6,000 livres. Added to this was an apartment in the upper floors of the Tuileries palace. Powerful sponsors allow him to acquire literary respectability: he figured on the list of royal censors and in 1733 was admitted to the Académie française. Most crucial of all in the 1740s he secured the envied position of “reader” to the Queen, allowing him to become something of a fixture in Court society; he was nicknamed “le fauteuil” so much was he an indispensible part of the furniture. By all accounts Moncrif managing to “play the dévot” in the queen’s circle whilst still keeping up relations with d'Argenson and madame de Pompadour. Moncrif had a reputation as a smooth and ingratiating character, much in demand in society gatherings. He was, it was said, a cat with velvet paws. He could turn his hand to all sorts of witty versification, musical entertainments and the amateur theatricals which were so much in vogue, particularly in the earlier part of the century. He earned himself a particular reputation as a writer of songs. He also tried his hand at composing theatricals – his first play earned a certain succès de scandale when it was banned for impiety though his subsequent efforts were less well regarded. 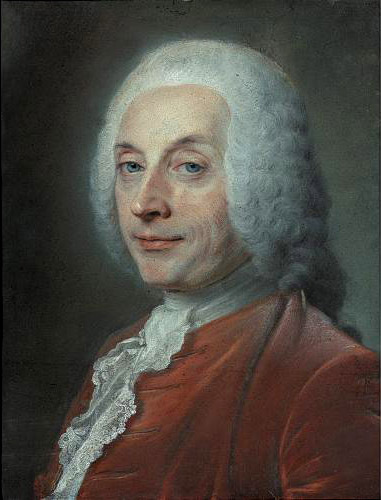 He did better as a librettist and composer of musical entertainments: his output was considerable, his most noteworthy production being the.libretto for the ballet Zelindor King of the Sylphes. As an academician he turned out respectable and well-written compositions. At the age of fifty, he produced a little treatise on the Art of Pleasing, which was generally dismissed, but was well-regarded by Voltaire who compared it to the work of Lord Chesterfield. Voltaire - who addressed him ingratiatingly as "mon cher Sylphe" - was condescending but no doubt found Moncrif a useful contact and envied his position at Court as a man who had the Queen on his side ("la reine pour [lui]") and the ear of the King. Alway sensitive to insult, Moncrif suffered greatly from the barbs of criticism and satire. Les Chats generated a torrent of derisive witticisms which tormented him for much of his career – he was finally driven to repudiate it and suppressed it altogether from the collected edition of his works. His election to the Academy, gained through influence, was much resented. One wag let loose a live cat during his reception speech, to an appreciative chorus of meows from the audience. The speech was vindictive parodied, and Moncrif was commonly invited to "meow from the rooftops". It is revealing of contemporary mores that Moncrif actual delivered a beating to one of his detractors, the poet Pierre-Charles Roy - but the only result was to be taunted by Roy to withdraw his claws. In the early 1750s the story circulated that Moncrif had petitioned d’Argenson for Voltaire's place as royal historiographer –"Surely you mean historiogriffe?" came the delicious reply. In personality, Moncrif was by all accounts an aimable bon viveur with a taste for good food and elegant clothing; he had a fondness for actresses and women of easy virtue “which continued remarkably into old age”. However, he had his good points. Despite his obsequiousness at Court, he was much commended for his loyalty to d'Argenson after his disgrace. He also gave a good end; at the grand age of eighty-three, the old Epicurean was universally admired for his virtuoso display of tranquil courage in the face of death. His family, honest although not well off, brought him up with care in the hope that he might win one of those positions where fortune is the reward for hard work. The young Moncrif had altogether other inclinations: instead of serious study, he preferred the entertaining arts - poetry, dance and music.... It was his talent in these which served him as an introduction to high society, so that he often found himself in the company of the highborn youth of the kingdom. He made himself loved and sought after for his fine wit and obliging character.....He was a poet, musician, an actor full of enthusiasm, intelligence and resourcefulness. He was the life and soul of the amateur entertainments with which high society gatherings dissipated their boredom..
Moncrif's mother was the widow of a procureur called Paradis who, having bought the office of secretaire du Roi, defaulted on his debts and was forced to take refuge the Temple. He died, leaving his wife and two children in poverty. Fortunately Madame Paradis was a woman of wit who knew how to provide for her two sons. Through the protection of my brother one became a subaltern and later a minor commander. The elder was the principal object of their mother's affections; she made huge efforts to have him dress well so that he could be introduced into society. She sent him to the theatres, to the places set apart for distinguished people, so that he could make useful connections. Marquis d’Argenson, "M. de Moncrif de l’Académie française"
Born in Paris in 1687, he lost at an early age his father, who was a procureur called Paradis. His mother, a woman of wit, who was English in origin, had him take the name of her ancester ("Montcrief") and took great trouble to launch him in the world: she succeeded. With an agreeable appearance, fine wit, a gentle and even-tempered personality, Moncrif was a poet, musician and act; he became the life and soul of fashionable entertainments; he wrote parodies, pageants for the grand prior d'Orleans and the comte de Maurepas. He pleased the comte de Clermont, and this prince abbe made him secretary of his benefices, abandoning them almost entirely to his protege. Having quarrelled with this eccleistic, Moncrif found consolation for his disgrace with the title of reader of Marie Leckzinsa: he had his entrance to the king, a seat in the academy (1733); he owed to the comte d'Argenson the post of secretery general in the posts And for all that what did Moncrif do? The reason that Montcrif was not generally liked in society, was that he had to climb several ladders, from the well-to-do bourgeoisie, to the gens de condition, and finally to great seigneurs and princes. He was forced to neglect his obligations to his first friends in order to please those of higher rank, which was considered a great insult. [Moncrif] was a petty tax inspector in Tours when M. d 'Argenson was intendant. The pretty songs he composed made him noticed by d'Argenson, who brought him to Paris and gave him a position. From that time on, Moncrif has always been attached to him...He is also secretary general of the French postal service, a position that brings him in 6,000 livres a year and that M. d'Argenson gave to him as a present. c.1750 MS of police inspector Joseph d'Hémery, c.1750 cited Darnton, Great Cat Massacre, p.149. When [the comte d'Argenson] was exiled (1757) Moncrif expressed his great regret and sought permission to follow him to his retreat. He was allowed to pass six weeks with him. Throughout the years, Moncrif always returned to give proof of his attachment and gratitude. A man of pleasure in Paris, he showed himself a devot at court; he composed Essays on the Necessity and Means of Pleasing, but in this respect...his example was more instructive than his lessons. Moncrif excepting his talent for writing tender and gallant songs, was a man of a very ordinary cast, but supple and courtier-like, so that he obtained himself a sort of reputation at court, or rather in the late Queen's parties. He there played the man of great devotion, but at Paris he was a man of pleasure, and retained his passion for good eating and for the ladies to an extreme old age. Not long since, after the Opera, he presented himself among the Areopagus of the damsels belonging to it, saying, If any one of these ladies be inclined to sup with a very brisk old man she will have eighty-five steps to ascend; a good supper to eat,and ten louis to carry away. The apartment which he occupied at the Tuilleries, was indeed up at a great height; report says that he acquitted himself extremely well at these parties. The office of historiographer is nothing but an empty title; I wanted to make it a reality by working on the history of the War of 1741; but, in spite of my labours, Moncrif had admittance to his Majesty, and I had not. His person is better groomed and better powdered than ever. Those pieces which have most made his reputation are his romances, such as Alix et Alexis: They are sung, re-read even today, and there are verses which it gives pleasure to repeat by heart. If Moncrif had never written anything but his songs and ballads, he would have been the first writer, in his way, and that is always something. But he wrote various other works, which have diminished his reputation. We have, from his pen, several acts of French Operas, written in that vapid style of gallantry which is not less insipid and heavy than psalmodizing music mixed with little lively airs. He wrote an Essay upon the Means of Pleasing which is a poor performance, and of which the wits said — that it had not the means. You cannot believe how much credit the Academy has lost in the last few years. We will not be pardoned for Sallier and Moncrif. Moncrif submitted with good grace to the severe sentence of the public. He carried it out himself, withdrawing the History of cats from his collected works. He did better still and in the preface to this collection, he had the courage to act as censor to his own work. "In a work that is bad in itself, wit only adds to the wrong. Why create such a volume? Why accumulate oddities, when their uselessness is evident and their interest diminishes in the measure that they multiply?" Les chats, in octavo; a work that has unjustly brought him ridicule. His mistake was to have it published as a book, when it was only a society pleasantry. Moncrif was received into the Académie française under the auspices of M. le comte de Clermont, whilst he was still living with this prince. There was no lack of satires against him. The villainous abbé Desfontaine had him well and truly sewn up. Roy, the satirical poet, launched a scornful piece of verse against him. Moncrif had his vengeance; meeting Roy one evening after supper, he recognised him by the light of his torch and administered several blows of the cane across his shoulders as well as kicking him in the stomach. Roy said to him as he received them, De grâce, Monsieur des Chats, faites patte de velours. Such pleasantries against Moncrif were very fashionable. One cites among others the comte d'Argenson, the Minister of War, to whom Moncrif appealed to succeed Voltaire as historiographer. You mean historiogriffe replied the minister. 1. L'Isle de la folie, comedy produced by the Théâtre italien at the end of 1727. In one scene Gulliver meets a musician who boasts of writing a "magnificent Cantata to the honour and glory of Cats....", the lyrics of which come directly from Moncrif. 2. Le Miaou ou très docte et très sublime harangue miaulée par le seigneur Raminagrobis le 29 décembre 1733, jour de sa réception à l’Académie française à la place de M.... , "A Chatou, chez Monet, Au chat qui ecrit 1734"
Moncrif's reception speech as delivered by a cat. The philosophy to which I owe my happiness and tranquility since youth, has been founded on this principle: if we suffer evil, whether physical or moral, we should employ every means possible - selling the very shirt off our backs if necessary - to secure deliverance. But where there is no remedy it merely adds to the suffering to fight destiny or bewail one's fate in a cowardly manner. Since my my fate is sealed, help me to pass the little time I have left with as few pains and worries as possible. [Moncrif called the curé to comply with his religious duties. In the ten days left to him, there were gaming tables to nine, followed by fine suppers. He played his favourite card games, without any sign of pain or impatience] Our loveable Philosopher sustained, without discernable effort, the role that he had imposed on himself. As he was over eighty-two years old, he had no doubt that he was nearing his end; but he faced death like a true philosopher. He discussed his last moments with great presence of mind and without distress; he made the arrangements for his own funeral. Having fulfilled his duties, he wished to fill the rest of his life with pleasures. He had always received society; habitually surrounded by girls and actresses, he continued to feast his eyes on the spectacle of their charms. Since he could no longer go to the Opera, as was his wont, he himself hosted music, concerts and dancing; in short, he died as he had lived, like the poet Anacreon.